The numbers for the Mega Millions $1 Billion draw have been announced as 15 23 53 65 70 and Mega Ball 7. There were no winners, so the draw has soared to a new record… $1.6 Billion. The prize is the largest jackpot in U.S. history, ahead of the record $1.586 billion Powerball prize drawn on January 13, 2016. No one has matched all six Mega Millions numbers and won the grand prize since July 24. That reflects the game's long odd of one in 302.5 million. 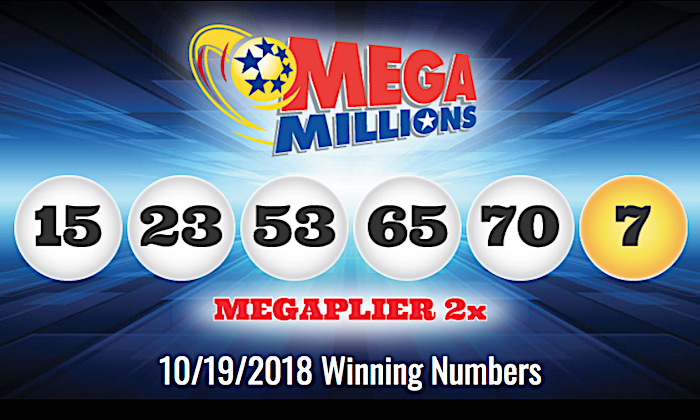 “Mega Millions has already entered historic territory, but it’s truly astounding to think that now the jackpot has reached an all-time world record,” said Gordon Medenica, Lead Director of the Mega Millions Group and Director of Maryland Lottery and Gaming, said in a press statement Saturday. The draw rocketed to the billion jackpot prize after reaching $868 million on Wednesday. Players have been flocking to stores in their hundreds of thousands, and at one point during lunch hour on Thursday tickets were being sold at the rate of 200 per second. The next jackpot has a cash value of $904.9 million.